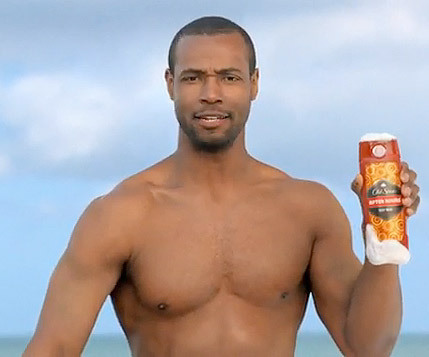 Everybody loves the Old Spice viral campaign. It’s fresh, it’s funny, and it isn’t selling any more Old Spice. In fact, sales have fallen. Oops. While there is little doubt about the viral hit’s popularity – the official version has racked up 12.2 million impressions on YouTube – sales of Red Zone After Hours Body Wash have fallen by 7%. Maybe the problem is, as Jezebel suggests, that it takes more than a funny viral campaign to shift many years of negative connotations, or that the target audience of young women simply don’t buy shower gel for their boyfriends. The YouTube response vids were still inspired, though. Update, 25 July: PR Week reports an overall 107% increase in Old Spice body wash sales, based on figures from Procter & Gamble. Although, I can’t actually remember the last time I used aftershave. Years of smoking mean I don’t really do aftershave either: because the cigs had ruined my sense of smell, whenever I used anything fancy I always worried that I’d overdone it and that everyone was retching behind my back. Which may be what happened, and if it did I’d rather not have confirmation. Off topic: I’ve joined you in the league of ex-smokers. Got a terrible adiction to the nasal spray though. Oh, congratulations. Nevermind the financial/health stuff, it makes the world considerably less of a pain in the arse. I found a policy of “do whatever it takes to get you through quitting” worked – as long as I wasn’t having a cig, anything I was doing to compensate was fair enough. These things are only temporary. Old Spice smells rather good. I’ve noticed a couple of aftershaves down the years have smelt pretty-much identical and been quite successful simply by not being Old Spice. Makes me wonder why Old Spice don’t just rebrand. This comment makes me sound like some sort of aftershave connoisseur. I really don’t smell them all and take notes. Honest. I just happen to have noticed a couple, that’s all. I now have a mental image of you sniffing people on public transport. I lived in Glasgow long enough to know never to do that.